Greetings, I am Mary, I am Mare’, Universal Mother, Mother of all, Mother of change, Mother of Love, Mother of children, Mother of adults, Mother of flowers and trees, of air and water. Mother to you! Welcome my beloved children, sons and daughters of my heart, sons and daughters of my very being. And yes, I have beckoned to Linda and her family and they have listened and responded that they might be reinforced in the Love that they carry for one another. But the Love that I carry for all families of all forms, for in your world this day there are many different forms of family, many different forms of marriage, many different forms of relationship, and all of them are sacred and all of them are unique and all of them are an expression, not only of Love but of the yearning for Love. Love is as necessary as the air that you breathe. You have seen this in infants, in children, if a child is not nourished they fail to thrive, they do not develop. And this is what so many adults, yes even lightworkers, Love-holders, have forgotten. You have need, my beloved ones, to be nourished, cherished, nurtured, gentled and loved. It is not adequate that you simply extend your open hearts in Love, and you do this supremely. 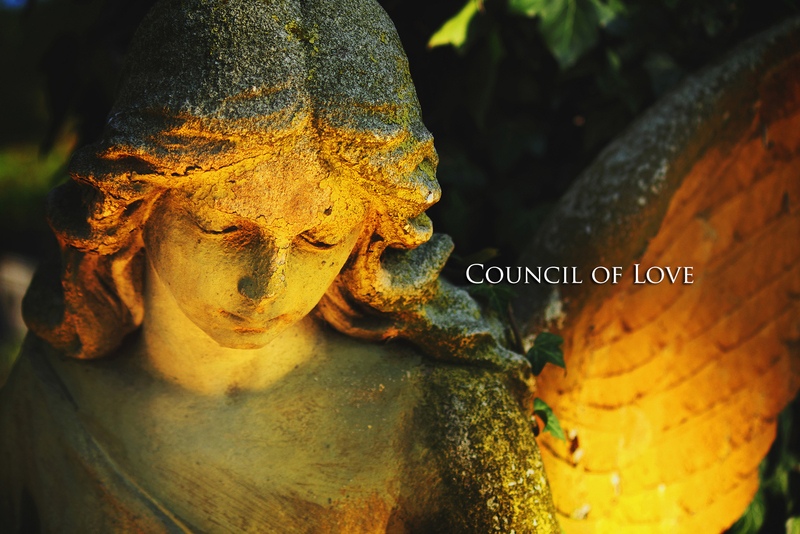 But you have need, sweet angels of my chorus, to receive the Love, to receive the reinforcement, to receive the allowance, the confirmation – what you refer to as signs – that I am with you. I come to you in the ordinary, in the commonplace, in the public places and the private places. I come to you on the sunshine and the breeze, in the forest and the trees, in the grottos. I come to you in the middle of the city, in the darkest corner of the night and the sunshine of the day. I am in every nook and cranny, not only of your soul but of your body. Look for me everywhere. It is not only the Tsunami of Love that I send to thee, but you cannot miss me; it is in everything, it is in the gentle whispers of your heart. That is my nudging to thee to listen to what you want, to what you deserve, and what you already know is your birthright. Let me nurture you, but beloved ones, nurture each other, pray for each other, heal for each other. There is nothing, and I speak to you as Creator Source, there is nothing that you can wish, desire, and focus on creating that is not possible. I have imbued you with the capacity to create; it is in your spiritual, mental, emotional, causal, physical DNA. And I am inviting you this moment and every moment of every day to create and to co-create miracles of Love, of joy, and ordinary existence with me because dearest hearts, ordinary existence, day to day life is intended to be miraculous, to be joyful, to be magnificent. That is why I am always using this word. You are magnificent and you are mine! Allow me; allow me to join you, to show you, to guide you to the places of wonder and awe, of confirmation and completion. Beloved ones, I am with you, I am with you always and in all ways. Go with my Love, go with my blessings. Farewell. PreviousGalea returns to speak about Gaia, planet of Love and play!